At Express Driving School, our mission is to deliver quality, defensive driver education and training programs to develop a community of safe, responsible, and respectful drivers. Our driving instructors are committed to providing you with quality driving lessons, defensive strategies, and tips to keep you safe on the road. Our behind-the-wheel lessons are an exclusive one-on-one session. We want our customers to be comfortable and confident that our primary focus will be on delivering exceptional and professional service. Each driving instructor is screened and licensed by California DMV. Female driving instructor is on staff and available by request. Teens and adults from all across California are welcomed to take our certified DMV online education course. Once completed, we mail your certificate of completion, DMV form (OL237) directly to you . Teens and adults who are located in San Diego can take advantage of our bundle package. This package includes online driver education and 6 hours behind-the-wheel training. Take advantage of this package discounted rate. Stop by and check out our blog. We provide up-to-date news and articles in regards to driver education. Also, connect with us through social media. From time to time, we offer discounts exclusive to our social media family. 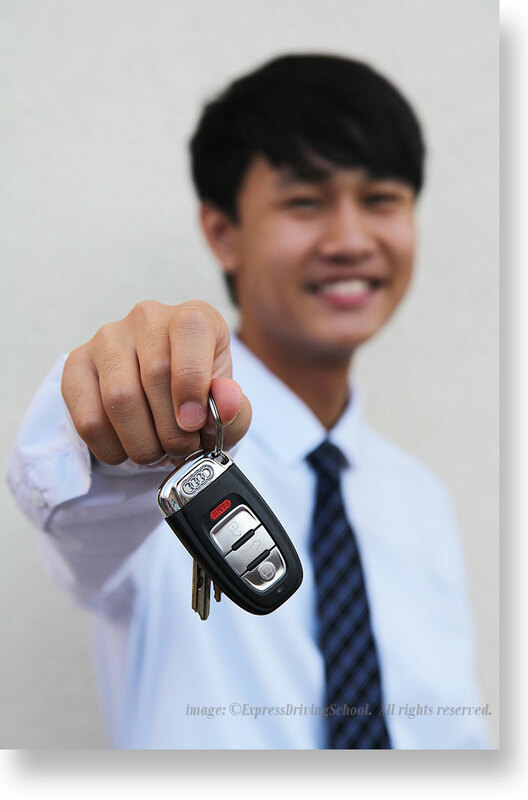 Feel confident that you made the right choice in selecting Express Driving School for all your driver education needs.